Solid PVC is a thick grid like PVC that is functional in most areas of wet or dampness. As it is completely non porous, this mat is a fantastic way to get off the ground and keep your feet dry without feeling fatigued. 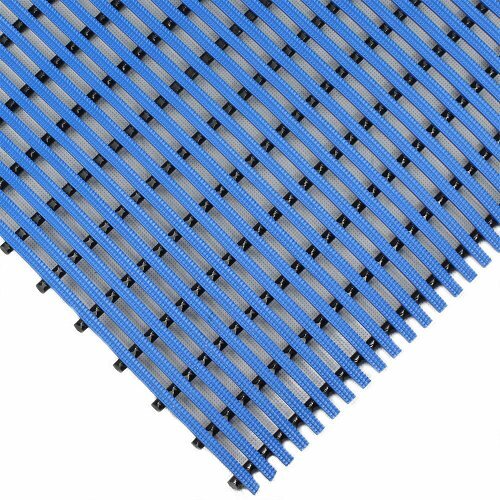 Great for areas where Tubular PVC cannot drain completely which may cause odour build up. 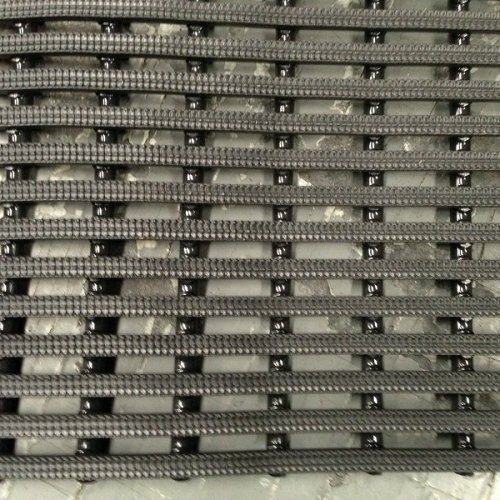 This mat is mostly used in pool areas, on boat floors and laundries but is also ideal for behind bars and breweries. It is an extremely hygienic, and easy to clean mat and can be used as an indoor or outdoor. The Solid PVC mat can be cut to any length and shape with a Stanley knife and the flexibility of the matting contours to any floor, even ones that are uneven. With excellent Anti-fatigue properties this mat is hard wearing, long lasting and practically maintenance free.